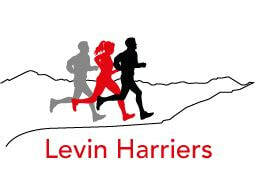 At Levin Harriers, we’re all about fun and friendly competitive club runs and walks. We hold regular organised Saturday runs/walks from April to October, rain hail or shine. Meeting 1.45pm at our club rooms, being ready to run at 2pm. Each week we get to see many different parts of our beautiful local Horowhenua. We are a growing club with members from 16 -76 years and with room for more keen active runners and walkers like yourself. Families are welcome. Our experienced members support and encourage new members to reach their highest potential, and to always have a great time whenever we are out. We’ve been around since 1965 and are looking forward to the future. See how you can become part of our friendly social Harrier family and join us each Saturday. Guy can be seen out running the streets near and far. He joined because he was new to the area and wanted to meet fellow runners. As Club Captain he organises our Saturday runs/walks. Bob is a committed Harrier who has a wealth of knowledge of the clubs history. He has many marathons under his belt and always has helful hints for the new members. The Harrier Season is about to start with an OPEN DAY 30th March 2pm-4.30pm with Free Sausage sizzle. Come meet people who like to run, walk and talk. Would be great to see you at our Club Room. 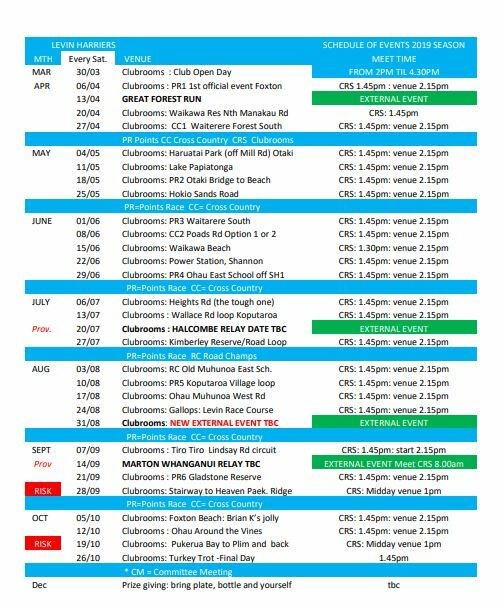 6 April 2019 - First official Club Event - Points Race Run and Walk in Foxton. Meet at Club Rooms 1.45pm.